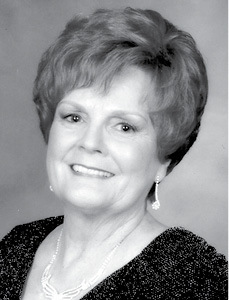 Ann (Byrd) Neal, 73, of Albany, Kentucky, passed away Monday, April 8, 2019, at Navicent Medical Center in Macon, Georgia. She was the daughter of Dillard and Elizabeth (Groce) Byrd, and was also preceded in death by a sister, Letha (Byrd) Stockton, and a sister-in-law, Diane Byrd. She is survived by her husband, Welby Neal of Albany; a son, Lee (Jennifer) Neal of Columbia; two brothers, J.P. Byrd, Albany, and Tommy (Linda) Byrd of Columbia; three grandchildren, Seth Flowers, Noah Flowers and Josh Flowers; and several nieces, nephews and cousins, and many other relatives and friends. A memorial service for was conducted Saturday, April 13, 2019, in the chapel of Campbell-New Funeral Home with Bro. David Stearns and Bro. Darrell Lyons officiating. In lieu of flowers, contributions to Peolia Cemetery Fund in her name would be appreciated. Campbell-New Funeral Home of Albany, Kentucky was in charge of arrangements. Online Condolences at www.campbell-new.com.